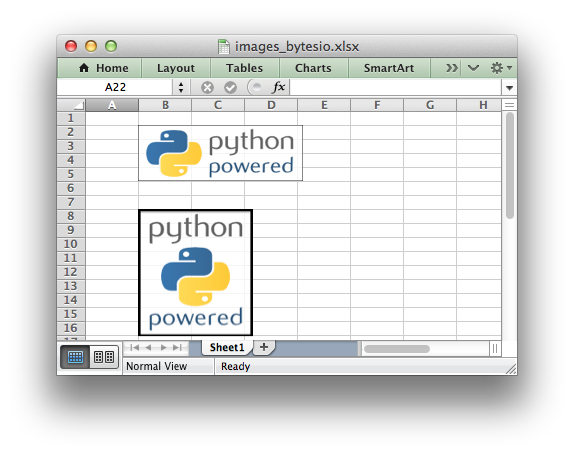 This program is an example of inserting images from a Python io.BytesIO byte stream into a worksheet. The example byte streams are populated from a URL and from a local file. See the insert_image() method for more details. # worksheet using the XlsxWriter module. # Import the byte stream handler. # Import urlopen() for either Python 2 or 3. # Create the workbook and add a worksheet. # Read an image from a remote url. # specified. In this case it will be read from url string. # method can do this directly. This is for illustration purposes only. # Write the byte stream image to a cell. The filename must  be specified.